You are here: Home » A Course in Miracles » The demographics of atheism, what it is, and how to prove the existence of God. The demographics of atheism, what it is, and how to prove the existence of God. 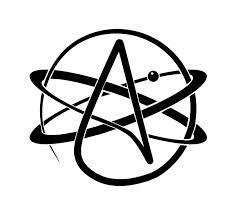 Being from the USA, then spending time in Europe, I’m acutely aware that I’m in the land of atheists. Being in the UK has made this evident. Now I can’t wait to visit France. Not that there’s anything “wrong” with atheists. I see them as somewhat lazy, since they haven’t done the work to prove or disprove God, so they may not have sufficient grounds for a convincing argument, however; I don’t know what anything is for, so judgment is inappropriate, I admit. It’s just interesting to me. I think there’s a point in all our lives where we ask: “Is this is all there is”?, “Is there a ‘highter’ power”?, “Can you prove there’s a God – to me”? It’s not easy to prove or disprove God. First you should decide what you’re trying to prove or disprove. Otherwise, isn’t the question pointless? An interesting topic is the demographics of atheism. I have a dear friend, very French, an atheist, who I’ve known for about ten years. We have some of the most wonderful conversations. He’s not interested in doing any experiments to prove or disprove God. He has no interest in such things. Instead, he’s a gentle and peaceful man, who walks with God, but doesn’t call it anything. His gentle way is deeply soothing, and he’s a happy man without any belief in some identity with a will apart from his. I don’t understand why there’s confusion about the image of God and His reality as creator. If God is a concept of dominating ruler, then I don’t believe in this God either, and so we are the same, as I truly believe everyone is. A 2009 study reported that two thirds of teenagers in the UK do not believe in God. What does this mean? It’s altogether irrelevant what people say they believe or disbelieve without knowing what it is they claim to disbelieve, then how could it have relevance? I’m not going to discount these bright teens’ ability to conduct a valid scientific experiment. I had the talk with young and old on God, and the experiment to find common ground was successful each time. We had some fun with it. The whole idea of God having a will apart from ours is a simple error made of assumptions. If we could get it that we can’t hurt ourselves, nor another, then we can return to innocence and safety in our true identity. The practice of looking within frequently is the a way to know one’s Self. Also, to see others this way is natural, due to divine law. Our true identity is apparent once we return our mind to beholding innocence, and seeing it in everyone. I propose one way to know God. If we’re afraid to look at ourselves, then we’re not so inclined to gaze upon another, in perfect honesty. So it follows that we dare not gaze upon the face of God! How is it then, that we can KNOW GOD? For otherwise, are we not talking in circles? We might deny the existence of God, or at least, what we think God is and was for us or others. Later in life, assuming we’re paying attention, we’ll have opportunities to try to explain mystical experiences, miracles, and what could be called coincidences, psychic encounters, or unusually good things happening, visions of divine forces, and feelings of being carried along and guided perfectly. Improved vision of the past increases our trust. And this is one thing regarded as a prerequisite to KNOWING God. If you’re like everyone I’ve met, your dream of life is unfolding. This is a common theme. We are all working on our version of paradise, or as I like to call it, Heaven on Earth. The Course in Miracles refers to earth as an intentional escape from heaven. So, it seems rather preposterous to seek for Heaven where it was intentionally denied. But we mustn’t underestimate the power granted the Holy Child of God. If we’re serious about trying to prove/disprove the existence of God, we come to the conclusion that practicing faithlessness is no way to disprove a beneficent God. Quite to the contrary, we, as serious scientists, admit that we must attempt to prove the existence of this “higher” power. But how? Perhaps the willingness to conduct simple experiments by doing prayers and affirmations, meditation, various mental practices, attempts to first understand then practice doing miracles. After all, Jesus did say that these things and greater we would do, so taken literally, we would do greater miracles. But how? I’m fortunate in that I remember being in Heaven, literally. I actually remember falling from heaven to earth, where I landed in Miami Beach, Fl, in a very comfortable home. I was a relatively self-sufficient kid. I’ve always loved science too, since it can be used to prove the world is real, and appear to disprove God. It’s fascinating for this reason: It can appear to make illusions more real that the only thing that is real. I am a scientist. I have, for 15 years, proven the power of faith. I have discovered that God is love, and that we were created as the divine by the divine, and that our true nature is love. In this sense, God is real to us now, but we are promised that we still don’t know the fullness of our inheritance, but that we will. Keep in mind that He offers us the Holy Spirit who is with us all the time, not to prove the existence of God, necessarily, but moreover, to make certain that His will is done here on Earth (it’s already clear in Heaven). I like to make a distinction between believing in God and practicing the presence of God. One is pointless, and the other goes to a new place. If the gift of vision is practicing the presence, and we can use this vision to attain peace, then I’m all about it. Conversely, if believing, without faith and practice is expected of me… if I’m not able to benefit from the peace of God, and experience the beneficence of God, the love of God, and the memory of my eternal nature, my innocence, my worthiness, then you have the wrong boy. I’d rather be an atheist. Here’s some citations of A Course in Miracles that seem to relate to this topic.